The Jamestown Exposition was held in 1907 to display the very best Virginia had to offer in manufactures, culture and natural materials and the planning pre-dated the event by several years. In 1906, the State Assembly approved funding for the construction of an exhibition center for the display and presentation of minerals and timber as part of the Jamestown Exposition. The Science Museum became known as the “State Museum” and opened its doors in 1910 with many of the Exposition exhibits moved to the center. Over the years, various State agencies contributed to the collection of specimens and other items representing the natural history of the Commonwealth of Virginia. The museum however, languished in its development until 1942 when the it was decided to establish an official science museum, which despite it being wartime, was approved in 1943 as the Virginia Museum of Science. During the war years, funding was restricted and immediately after the war ended, the country experienced recession which stopped any effective development of the museum. The museum concept was resurrected in 1964 when the Virginia State Assembly once more considered the future of the Science Museum. After renewed studies, a further recommendation for a museum of science, archaeology and natural science was proposed, but sadly this again died for lack of funding. The exhibits of the vestige State Museum gathered dust in storage as the collections were broken up and sent to different universities and institutions within the state. While the State Museum was clearly not achieving a level of priority within the legislature, the scientific community were spurred into action. Heavy lobbying took place between 1965 and 1967 until the Virginian Governor, Mills Godwin, sponsored the enabling legislation to finally create the State science museum which was approved in 1970. The fledgling museum next had to find suitable premises and the defunct Broad Street Station provided a suitable temporary home for the exhibits and staff. Until the science museum proposal, the old historical railway station had been destined for demolition and clearance. By 1976, Broad Street Station had become the home of the State science museum and Governor Godwin made the dedication of the first exhibition gallery in 1977. The opportunity was also taken to celebrate the 58th anniversary of Broad Street Station which had been given a renewed lease of life and noted the 70 years of effort to bring the Science Museum of Virginia to fruition. Expansion took place in the 1980, with the introduction of the most comprehensive crystal exhibition in the world in 1982. The prior year had seen the unveiling of a remodeled and larger Aquarium and the introduction of the world’s largest analemnic sundial (later listed in the Guinness Book of World Records). World firsts continued with the exhibition of the Solar Challenger, the first successful solar powered airplane in 1982 and in 1983, the construction finished of the Universe Planetarium & Space Theater. The Planetarium included the world’s first computer/video projection equipment for a planetarium and for the first time, visitors could take a simulated voyage to the stars in space. The Science Museum is also home to the world’s largest kugel ball – a kugel ball is a sculptured stone sphere which “floats” on a thin film of water. As the water lubricates the kugel ball, it allows the heavy stone sphere to float and spin. In 2003, the Grand Kugel was unveiled unfortunately, the original ball developed a crack and had to be replaced in 2005. 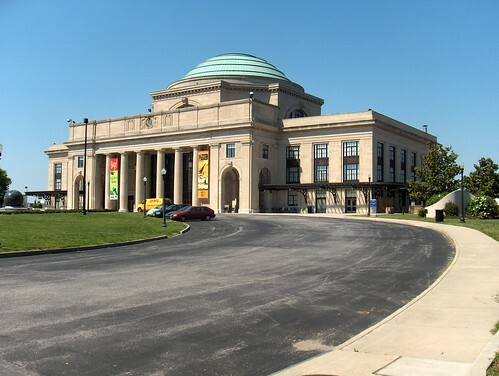 The Science Museum of Virginia, which lives in Richmond, is often the home of many happy returns.